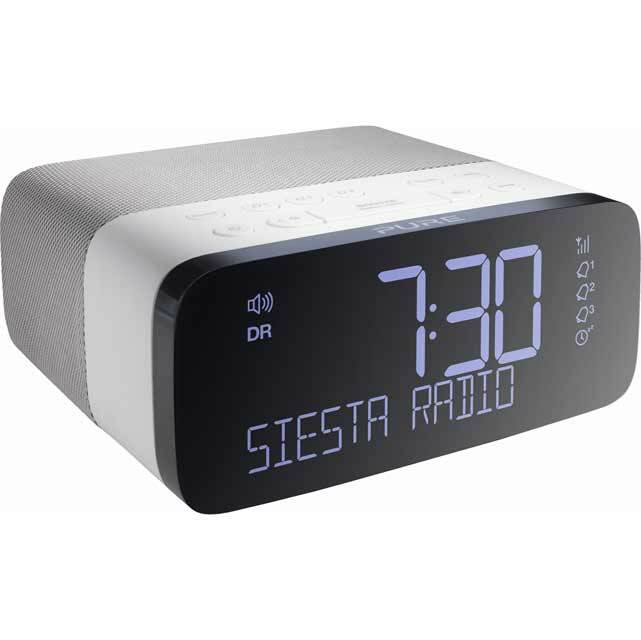 This Siesta Rise digital radio from Pure is ideal for lazy Sunday lie-ins. 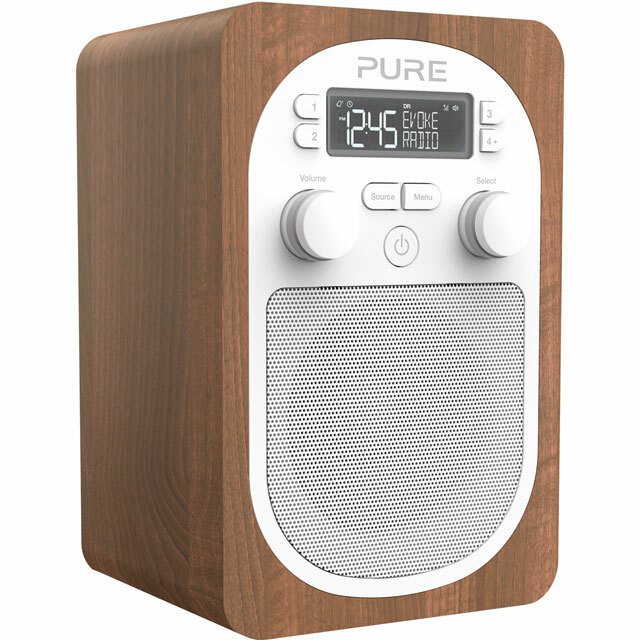 You’ll be able to find a smooth groove while you have breakfast in bed with access to both FM and DAB/DAB+ stations - you can even save up to 20 of them as pre-sets so you can get to them with a single button push. As it runs on a mains power supply, you can just plug it in and start listening. This model has an integrated LCD colour screen with an auto-dimming feature in low light, so that the gentle glow doesn’t keep you awake. It also has a useful USB port to charge your mobile. The screen is completely black, no light whatsoever not even dim light. So disappointed buying higher priced item for quality that did not exist. Main Christmas present. Now I have the inconvenience of returning the item. Not happy. Easy to use. Sound quality a little disappointing - too much fuzzy bass - but otherwise very good. Easy setup and great sound. Really pleased with this purchase. 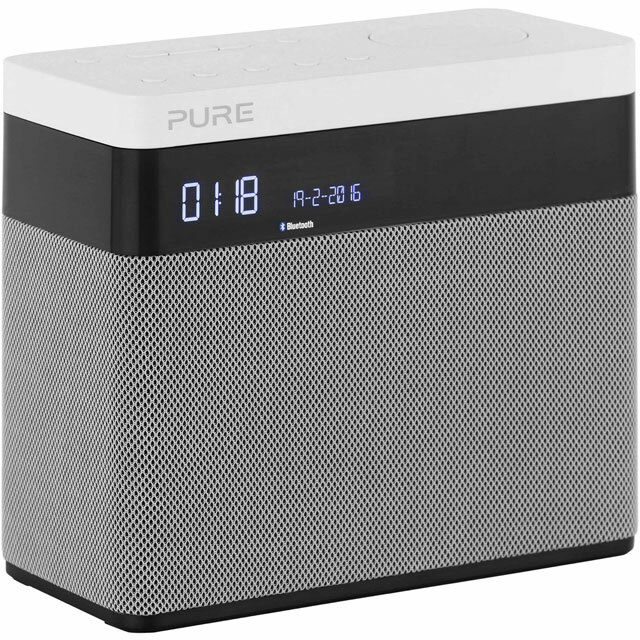 A really great DAB Digital Clock Radio, the feature set is really good and it's very easy to operate, so easy that I have been using it for a couple of weeks now and haven't even looked at the manual yet. Sound is great, looks and size are great and love the way it wakes you up with a very low volume slowly increasing to whatever you preset it too, the auto dimming is a must have for me and it works So well, small, stylish and all round a Great product! Relaxing and reliable way to sleep and wake up. Easy to use and has all the features to go to sleep and wake up in the best way possible.